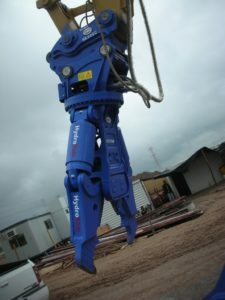 HydroRam Excavator Attachments serve many industries – Construction, Demolition, Mining, Rental and Scrap Steel Facilities to name just a few. 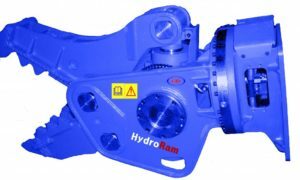 HydroRam is proud of the precise engineering and reliability of each of these attachments. You will love the high production and the durability of these units. 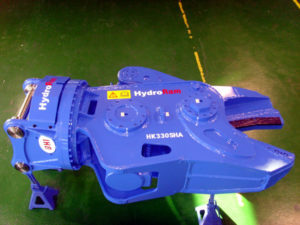 The following HydroRam attachments for sale are available from RJB Hydraulic Hammers. We also provide Hydraulic Kits both 1 way and 2 way for your application. Do you have a special equipment need? Do you have an unusual project that needs our expertise? Ron Johnson (RJ) has been solving difficult customer issues for over 30 years. He can assist you with your excavator attachment questions and will be happy to discuss your specific application.